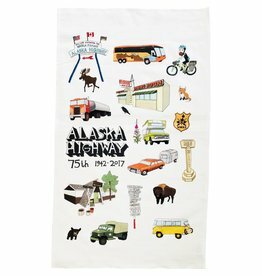 Souvenir tea towels designed in the Yukon and exclusive to The Collective Good. A good’s brand exclusive. 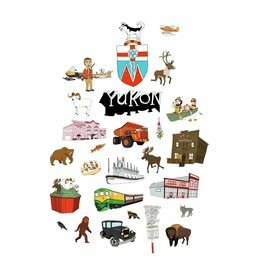 We commissioned local illustrator extraordinaire Monika Melnychuk to create this whimsical design incorporating our favourite Yukon icons to appeal to both visitors and locals alike. Can you name them all? A good’s brand exclusive. 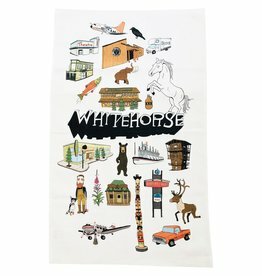 We commissioned local illustrator extraordinaire Monika Melnychuk to create this whimsical design incorporating our favourite Whitehorse icons to appeal to both visitors and locals alike. Can you name them all?